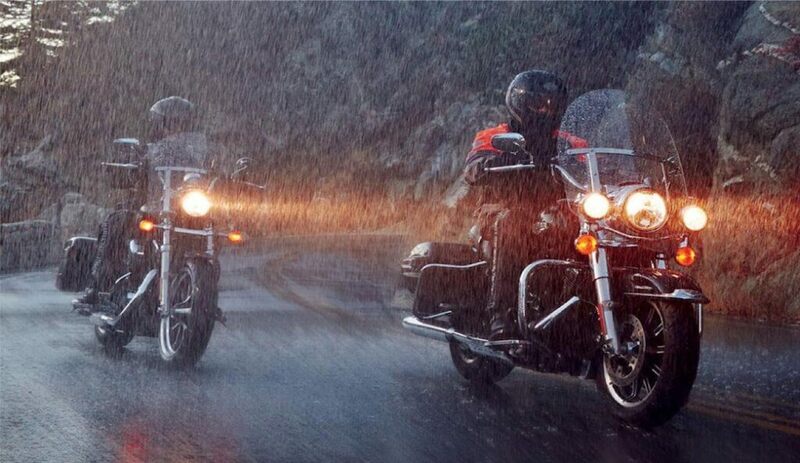 Home»Articles»Two-wheeler Insurance»How to Take Care of Your Bike in Heavy Rains? How to Take Care of Your Bike in Heavy Rains? For some bike lovers, their two-wheeler is their soulmate. They are even capable of posting ‘In a relationship with my bike’ on social media! They are possessive, keep their bike spotless, and have Annual Maintenance Contracts (AMC) for servicing their bikes. This ‘care quotient’ skyrockets during the rainy season. If you are one of those who love their bike or are interested in preparing it to face heavy rains, read ahead and implement the suggested measures. Whether you have an AMC or not, it is difficult to keep track of the bike’s servicing dates due to our busy lives. Servicing your bike before the rainy season is a good way to fine tune it. Little niggles, if any, shall be taken care of during the servicing. Changing the engine oil and lubricating the chain are basic measures that need to be undertaken while servicing. Speak to your bike’s workshop executive if your bike requires any rain-specific measures such as coating, anti-rust, etc. Losing traction leads to losing control. Roads can be in a bad state during the rainy season, on top of that, if your bike’s tires lose traction then things can get too risky. Check if your tires have worn out and replace them at the earliest. Wet roads, oil spills, and rash drivers can prove fatal. Improper braking can lead to a dangerous scenario not only for yourself but also for fellow riders, drivers, and pedestrians. Ensure that your bike’s brakes are in optimal condition. Also, controlling your bike after braking is a tough skill to master. Avoid over-speeding, keep a safe distance, and brake decisively. Your bike’s air filters and other similar parts can be affected by moisture during the rainy season. If you feel any resistance while starting the bike or if the bike’s engine switches off midway, it is suggested to get your bike’s air filter checked. There are chances that moisture might have settled in some key parts. Cleaning the moist area should resolve the issues. Rain or no rain, wearing a helmet while riding your bike is a must. Indicator lights assume more prominence while riding your bike in the pouring rain. Visibility can take a hit if the rainfall is accompanied by wind. Indicators literally act as a guiding light in such a situation. Revisit your bike’s insurance policy and check when it is due for renewal. You don’t want to end up in an accident and then realize that your bike’s insurance policy had lapsed a week ago! Apart from being a mandatory requirement, insuring your bike can provide a financial cover against risks such as accident, theft, and calamities. You can also go for Add-ons such as a Pillion Rider Cover, Engine Protection, Zero Depreciation Bike Insurance, etc. to widen your insurance coverage. Your bike can also conveniently be insured online. Visit the insurer’s website, select your policy, fill in the details, make the payment, and your bike’s insurance policy will be delivered to your inbox instantly.